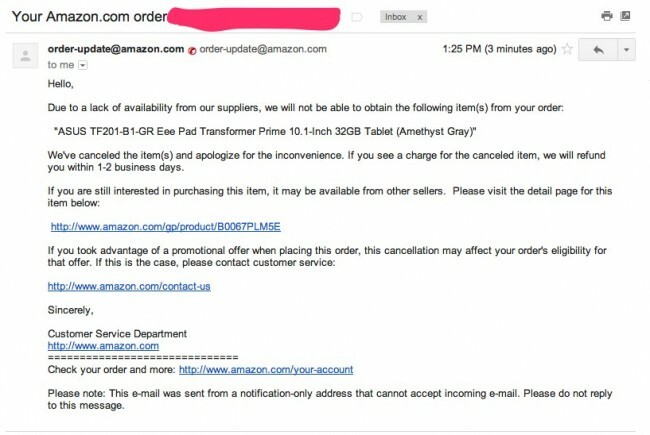 Amazon is sending out cancellation notices to those of you that pre-ordered the Asus Transformer Prime from them within the last week. Their reason for doing so? A “lack of availability from suppliers.” If you remember the original Transformer, a similar situation played out due to the fact that Asus couldn’t produce them fast enough. We aren’t sure if Asus is limiting the supply here or if they just can’t seem to manufacture them fast enough (again) with all of these new high-end pieces of technology. 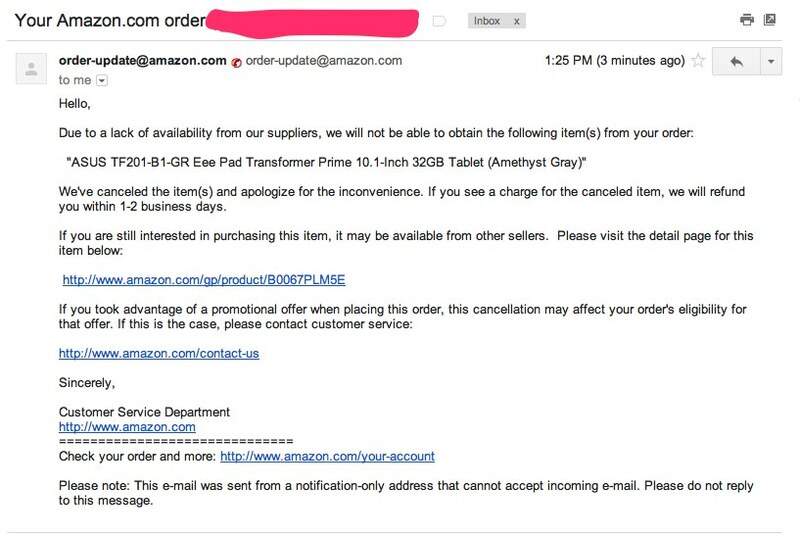 It’s a frustrating sign, especially for those looking to pick up the world’s first quad-core tablet before X-mas. No telling what the retail availability will be when the devices makes its way into stores on December 19, but we are thinking now that it will be limited. Cheers Brian, Wolvepk, Taylor, Pete and Anothony!